On 3rd August Maruti Suzuki, India’s largest car manufacturer organized the Maruti WagonR Think Big Challenge 3 Finals finding the next smart ideas that lead the world. 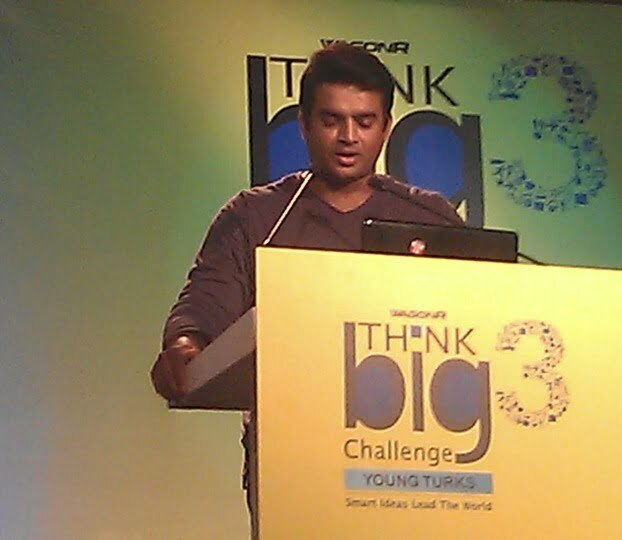 The first Think Big Challenge was organized by Maruti Suzuki back in 2009 and this was the third season. The concept behind the contest is to find fresh ideas and rising entrepreneurs. Maruti Suzuki registered over 5000 contestants and 160 business ideas from all around India. The finale of this innovative contest was organized in New Delhi. Under the Spotlight was the Chief Guest and WagonR brand ambassador R.Madhavan. Big entrepreneurs like Mr.Sameer Narula, Mr.Abhik Ghosh, Mr.Ravi Sharma and Mr.Himanshu Gupta formed the Jury panel. Maruti Suzuki provided a good platform for the contestants with innovative ideas as the winners get the funding for its venture, one lakh rupee cheque and a brand new Maruti Suzuki WagonR. Out of 5000 contestants 3 were chosen as finalist. Yash J shukla from Ahmadabad, he presented the Idea of smart canopies named “Dadi’s veggie Mart” which aimed to sell vegetables in different areas and provided home delivery with the option of chopped vegetables too. Next was Ankit Aggarwal with the idea to replace paper with “electronic writing pad”. Electronic writing pad would replace the paper with a compact cheap writing mode which runs on battery and memory to story. Last but not least was Manish Kumar Meena from Rajasthan he saw potential in agro based product. He wanted to set up physical as well as online stores named “Craft Mandi” which would provide these products to external market. Jury did what they were supposed to do with their queries and suggestions and the special jury Mr R.Madhavan was very curious regarding the electronic writing pad and suggested to do some in depth research on the product and its market. 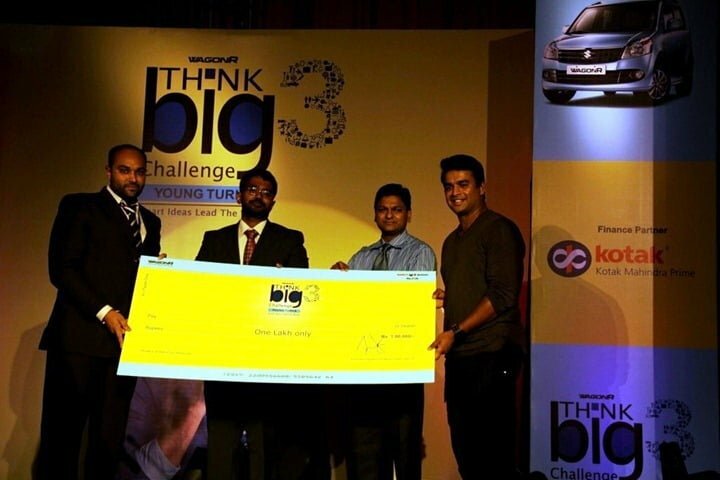 Manish Kumar Meena won the title of Maruti Suzuki Think Big Challenge 3. Such events are valuable platforms for emerging entrepreneurs who have a great idea but do not have resources to execute their ideas. The winner was awarded a cash prize of Rs. 1 lakh. Maneesh Kumar will also get an opportunity to enter the zonal round of the mainline category and a chance to compete with other contestants for a WagonR, Rs 10 lakh and venture capital.